Their Disney inspired wedding took place on the rooftop of the White Room under the most gorgeous blue skies I’ve ever seen. There are a few different options for weddings at The White Room but the entire wedding and reception took place on the rooftop and it was my favorite! I would shoot there every single day if I could. Alexis was absolutely beautiful on her wedding day. I could have photographed her (and her dress) all day in the bridal room. It’s such a great suite for getting ready with plenty of photo options, lots of space and gorgeous furniture. It’s no wonder brides always fall in love with it! Evan was looking pretty dapper himself too in his gray suit. 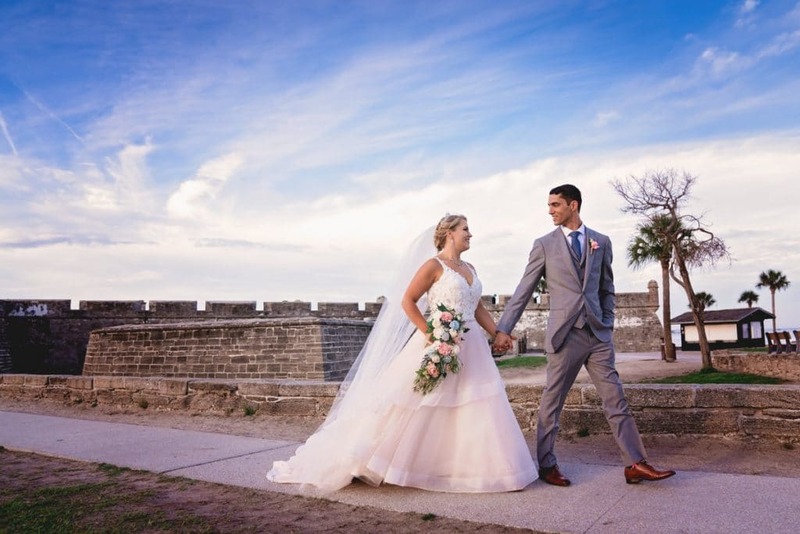 After the ceremony, I stole them away to Castillo de San Marcos to create some epic wedding portraits. I cannot get over that dress and veil! The skies didn’t let me down either. I also loved the personal Disney touches they added throughout the day. How freaking cute are Alexis and her bridesmaids with their Mickey ears? The centerpieces, favors and even her cake at the reception had little touches of Mickey magic too. During the speeches, Alexis’ dad got everyone crying talking about how he always called Alexis his princess, and now she found her prince. I can’t. Plus he cried like a daddy should during the daddy-daughter dance. At the end of the night, their friends and family surprised the bride and groom with a horse-drawn carriage for the grand exit. How freaking cute are they? The. Cutest. Ever. 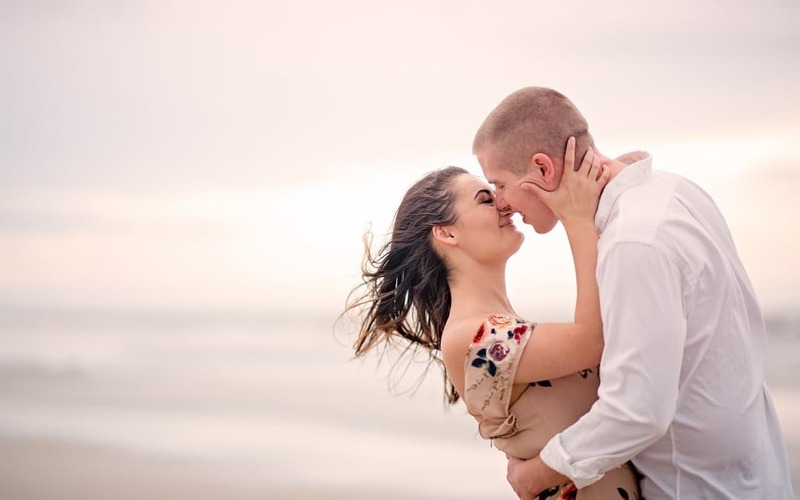 Alexis and Evan, I am so thankful you chose me to document your perfect day. Sarah you are a fantastic photographer. The wedding photos are out of this world. Thanks for the memories, they will be cherished for generations to come. Thank you SO much! It truly was the BEST DAY EVER! !